Learn how to read a story told using ancient Aboriginal signs and symbols. Join with fibre weavers from Kaiela Arts for an introduction to coil weaving in the cool tranquillity of the evening. Come and find out about the different designs and purposes for a boomerang. OUT OF THE STOCK ROOM ART SALE !!!! Come in and buy a masterpiece! The third iteration of Kaiela Arts Design Roots project – H’Art of Rhythm will present an array of new works by Kaiela Arts artists in response to the theme of Rhythm and Heart. We will also present two new screen printed fabric designs at this exhibition. Its Christmas! and to celebrate, Kaiela Arts is making Christmas decorations, Koorie Style! Barb and Judith will inform participants about different indigo dyeing techniques and each participant will make their own sample piece. YALKA LOTJPA NHA IS A COLLABORATIVE BOOK WRITING AND ANIMATION PROJECT THAT BEGAN IN 2017. IT IS COLLABORATION BETWEEN WRITERS AND ARTISTS FROM KAIELA ARTS. EXPERIENCE THE CULTURE OF BEADS AS AN INSTALLATION OF A DAZZLING, INSPIRED FRENZY OF CREATIVITY DURING THIS EXHIBITION AT KAIELA ARTS. Learn the techniques of painting with Acrylic & Sand on Canvas. Come and share afternoon tea at Kaiela Arts as a welcome to visiting Aboriginal artists who are in Shepparton for the Ceramic Award. Explore the wonders of needle felting to obtain detail within the felting medium. Kaiela Arts has two projects to pick from: Aboriginal Art Trail: Building Knowledge of Cultural and Natural Landscapes & Community Cultural Arts Healing Garden. 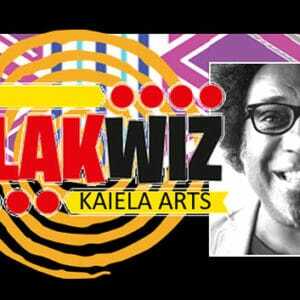 Please support Kaiela Arts by voting! It is our second year of presenting at this important Industry fair alongside Aboriginal Art centres from all over Australia. Using the image of Connecting Waters by Troy Firebrace. A Workshop for Women in the studio to discuss painting styles and subject matter. Auntie Girl is a project inspired by the 2018 NAIDOC theme Because of Her we Can. This project is designed to uncover practitioners of traditional cultural beading skills of the many cultural groups who live within the Goulburn Valley Region. Join Kaiela Arts in Melbourne for National Reconciliation Week - 27 May to 3 June 2018. Hiroko Suzuki was born in Japan and lived in Australia for ten years and will share techniques of working with paper to make beads that will contribute to a large sculptural artwork. Galnyatj- Inspire, learn, create art program will imply Kaiela Arts artists from time to time to deliver workshops with children in schools. An Exhibition of New Works by Suzanne Atkinson. The works that you will expect will range from woven baskets, jewellery, vases, placemats and coasters, landscape and portrait paintings, ceramics and poetry. The Darwin Aboriginal Art Fair (DAAF) provides a genuine opportunity for buyers, collectors and galleries to purchase artwork directly, from over sixty Indigenous owned community Art Centres, whilst being immersed in an exciting program of traditional dance, workshops, film, fashion and music! This year we are kicking off the three month Turtle Making Extravaganza with a special school holiday activity launch, with Turtle games, stories and also clay Turtle making workshops all day for everyone. Learn how to read a story told using ancient Aboriginal signs and symbols then create your own visual language and leave a message in the earth - In partnership with River Connect and SheppARTon Festival. Join with fibre weavers from Kaiela Arts for an introduction to coil weaving in the cool tranquillity of the evening - In partnership with River Connect and SheppARTon Festival . Starting a new year on the right foot is desirable and this session is to look at changes and development in contractual arrangements between Kaiela member artists and Kaiela Arts as their representative Art Centre. Join us at Kaiela Arts as experienced portrait artist, Glenda Cornell teaches you how to draw and paint a portrait using a live model. Women and men from Goulbourn Valley Region communities will come together in a series of hands on workshops to share, rediscover and reinterpret traditional bead making, sewing, threading and use. This exhibition will present the natural life of Victoria Lake, Shepparton, with a focus on the birds and plants that live on and around the lake. Kaiela Arts artists Jack Anselmi, Angie Russi, Troy Firebrace and Tammy-Lee Atkinson are creating a 16 metre long rainbow serpent for the Dhungalla Kaiella Garradah at the 3 Rivers Festival. Join local ceramicists and Kaiela Arts artists, Angie Russi as she teaches you how to spin the pottery wheel and make beautiful pots for your home or garden. Phoenix will showcase the great artworks from the women of the Phoenix workshops. Come and make a Turtle from cardboard with movable legs that can be coloured in and decorated using cross hatching methods that reference local cultural mark making. Bring the kids to Kaiela Arts on the school holidays as we teach them how to make a turtle out of clay and about the Turtle as a totem. Come along and make a clay tile with Kaiela Artist Ken Hovenden while he tells you a story about Dunatpan (Rainbow Serpent). Come and help tell the story about the Dunatpan (Rainbow Serpent) in our big sand pit with the artists of Kaiela Arts. Join us at Kaiela Arts as we teach you how to draw and paint a portrait with experienced portrait artist, Glenda Cornell.